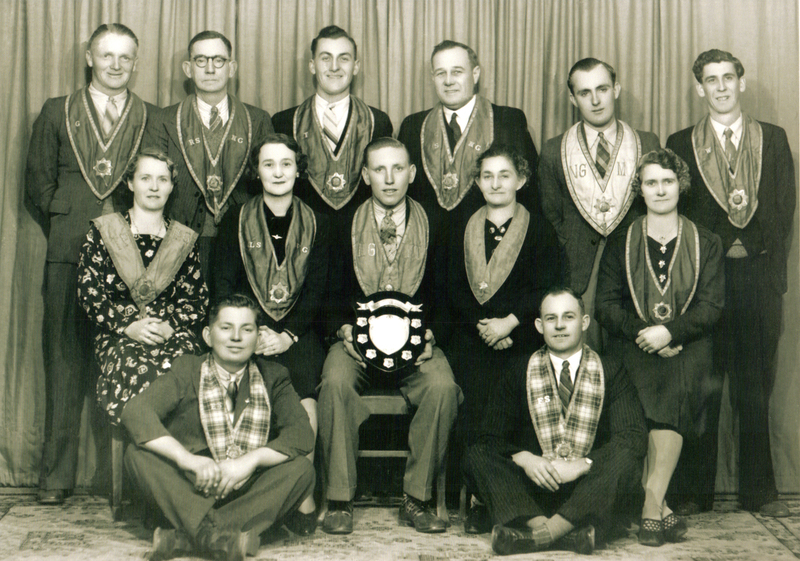 The Grand United Order of Oddfellows started in Australia in 1836. In 1842 a lodge was established in Newcastle at the Union Hotel: the Union Lodge of Independent Order of Oddfellows. In 1843 there was a request to form the Victoria Lodge. By 1901 there were approximately forty-three lodges belonging to four orders of Oddfellows in Newcastle alone. The insurance company Manchester Unity Health Fund had its beginnings in the Manchester Unity Independent Order of Oddfellows. Manchester Unity Independent Order of Oddfellows (MUIOOF) Loyal Weston No 344. Winners Ritual Competition, 1940. Courtesy of the Coalfields Heritage Group. Click photo to see full-sized image.